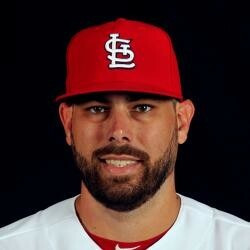 Jordan Walden became a free agent last week when the Cardinals declined his 2017 option. He has pitched with the Braves in the past, in 2013 and 2014 so the organization is very familiar with him. He has good velocity and high strikeout appeal and could bolster the Braves bullpen for late inning relief. The deal comes with a spring training invite. Walden spent most of 2016 dealing with a shoulder issue. In fantasy leagues where relief pitching is used, he could be a valuable piece if he has no shoulder issues. We'll see in spring. In the two years he was with the Braves he pitched around 50 innings each with a K rate of 10.34 and 11.16. If he's back in full health, he's worth a look.